The Nokia Design Team have released an app which contains ring tones, which were embedded in various Nokia products right from 1994 through modern devices in 2014. The application has been published by the Principal Sound Designer at Nokia Design, Aleksi Eeben. The total number of ring tones stands at a whopping 1000. The app weighs in at 349 MB, and should work on devices running Windows Phone 7.5 or 8. 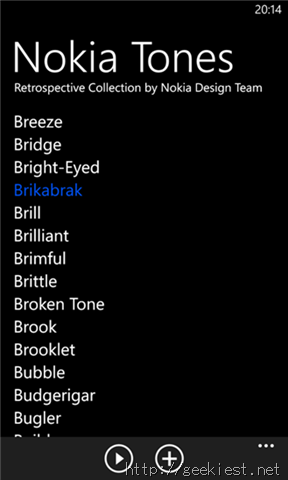 You can download Nokia Tones for Free from the Windows Phone Store. If you want more sounds from Nokia, head over to their SoundCloud page.